It wasn’t a very pleasant day for the South Americans as both Uruguay and Brazil were crashed out of the World Cup.The quarter finals of the FIFA World Cup 2018 are now underway and this time, is not the moment of the favorites. On 6th of July, Brazil was knocked out by Belgium in the 2nd quarter-final of the road to glory. Earlier in the 1st quarter-final France defeated Uruguay to reach the semi-finals. Now, France and Belgium will meet in the Semis. It wasn’t a very pleasant day for the South Americans as both Uruguay and Brazil were crashed out of the World Cup. The quarter finals of the FIFA World Cup 2018 are now underway and this time, is not the moment of the favorites. 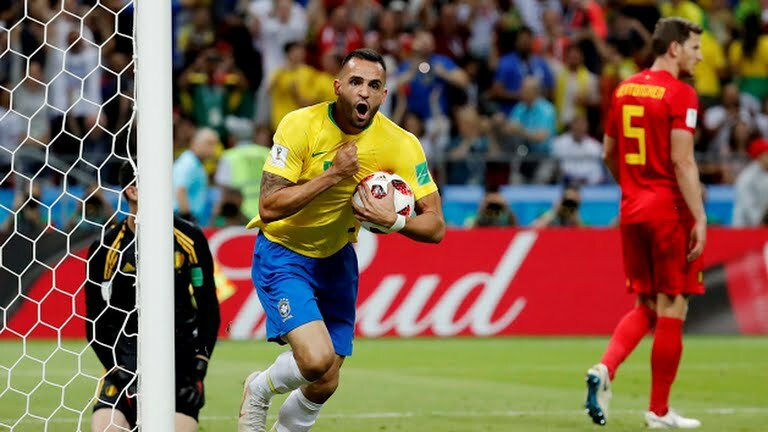 On 6th of July, Brazil was knocked out by Belgium in the 2nd quarter-final of the road to glory. Earlier in the 1st quarter-final France defeated Uruguay to reach the semi-finals. Now, France and Belgium will meet in the Semis. The demons of the knockout stages continued to haunt Brazil yet again as the 5 time champions tasted a crunch defeat by the Europeans. Brazil have been knocked out of World Cup knockout stages by a European country in each of the last 3 editions of the World Cup (vs. France in 2006, Netherlands in 2010, Germany in 2014) and this is the 4th time. Brazil was in the quarter-finals for the 7th consecutive time and this was 5th meeting between the two nations. However, Belgium had an upper hand and the scorecard at the end of the day was Brazil 1, Belgium 2. Right from the Kick-off attacks were being done from both the sides, Brazil had some chances in the starting minutes but Belgium goalkeeper Courtois had different plans. 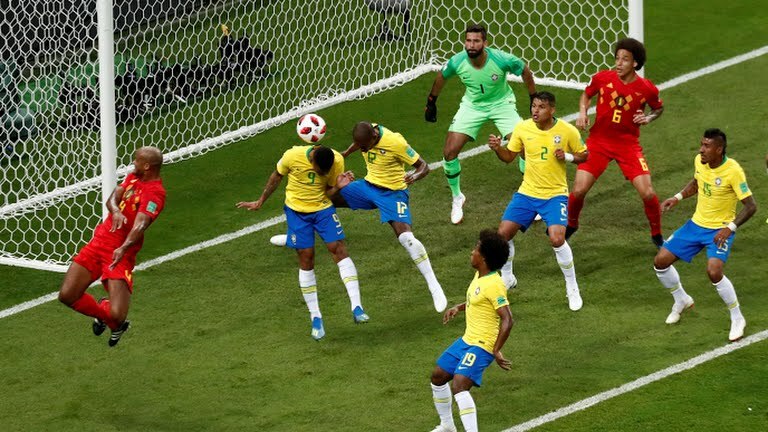 In the 13’Belgium took the lead from a corner kick, it was a messed up situation between the Brazilian defender and a touch of Fernandinho’s elbow deflected the ball at the back of the net. It was an own goal and Brazil conceded first. In the 31’ a counter attack by Belgium helped them get their 2nd goal. Fellaini headed the ball to Lukaku who with tremendous pace charged though the midfield and found striker Kevin De Bruyne just outside the box. He took the strike and the ball was in the Brazilian net. 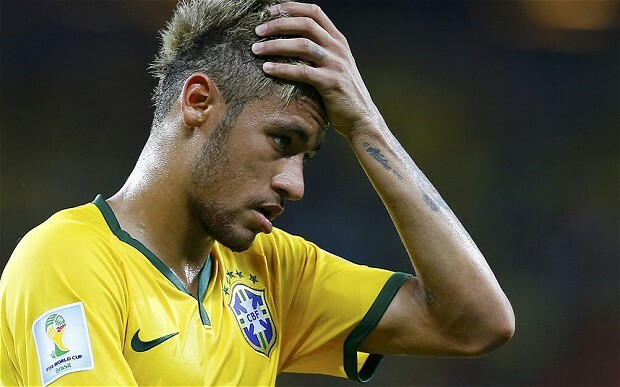 The Latin-American fans were stunned and Brazil was in deep-deep trouble. In the 2nd half of the match both the sides made a couple of substitutions but the most important one was Douglas Costa coming in place of Gabriel Jesus from Brazil. Costa had taken charge of the right flank from where he pulled off some shots from his strong left foot. In the 73’ Renato Agusto was brought on instead of Paulinho. And three minutes later at 76’ Paulinho’s header found the back of the Belgium net. 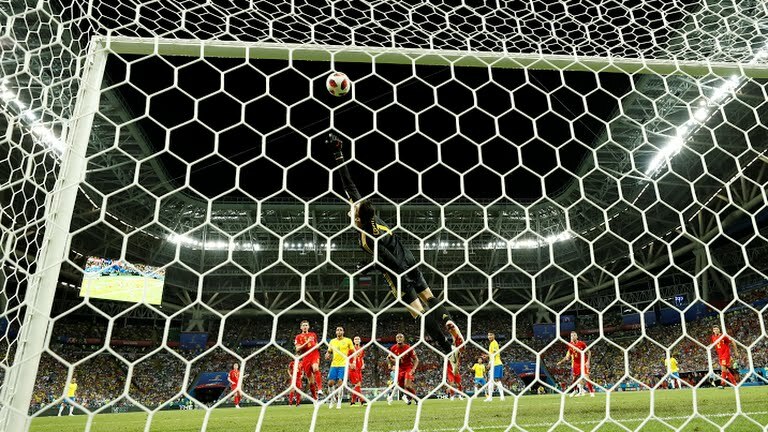 Hopes were now alive for Brazil but time was slipping away. Brazil had 14 shots on target in the 2nd half but they were not able to convert. We were in the extra time and Neymar took a shot from just outside the box, but a fingertip save by Courtois denied Brazil of the goal. The time had ticked away and it was too late for the Brazilians. Belgium had pulled of one of their biggest wins in their history of football and the favorites were going home. It is the first time that none of the South American teams are in the Semi-Finals of the FIFA World Cup. How to Activate Login Security on Facebook?